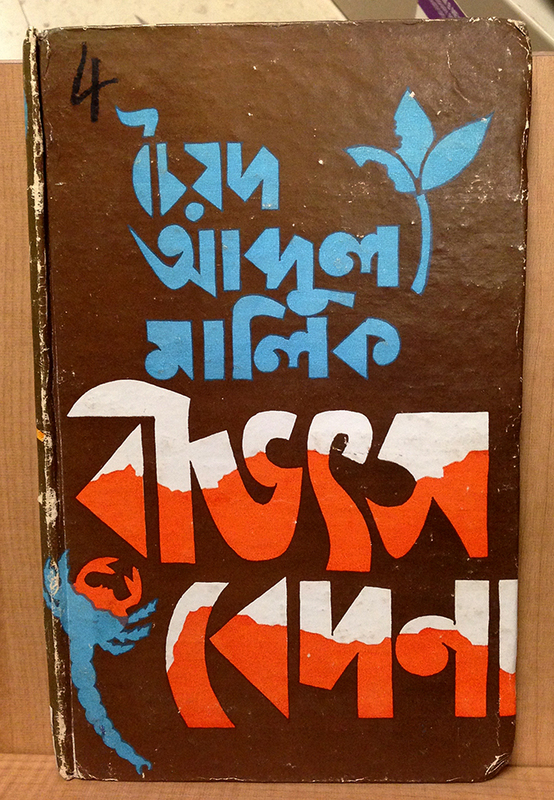 Bibhatsa Bedana, p. 1978. From the University of Chicago Library. বীভৎস বেদনা Bibhatsa Bedana (Obscene Pain), by চৈয়দ আব্দুল মালিক Syed Abdul Malik. What a fantastic cover to represent “Obscene Pain”! Bloody scorpions? Yes! This book was controversial, as it covered sexual themes. More about the author, Syed Abdul Malik here. rô is represented as র in Bengali, and as ৰ in Assamese. Assamese script has an additional sound, wô, represented as ৱ.